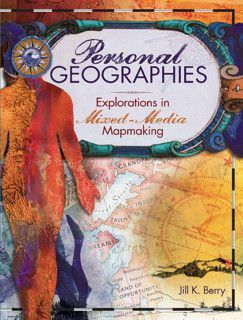 Personal Geographies: Explorations in Mixed Media Mapmaking by Jill K. Berry. "You don't have to be a world traveler or a professional cartographer to embark on a grand journey of self-discovery through mapmaking. Personal Geographies gives you the tool and techniques you'll need to create artful maps." Includes 21 mixed-media map projects, explanation of map parts, and lots of cool examples. A well designed book for any map lover! 143 pages.